With all the recent recalls on over the counter fever relievers, it’s no wonder people are looking for other options. High fevers are scary enough and there is no need to add worry over whether or not that medication will potentially harm your child. 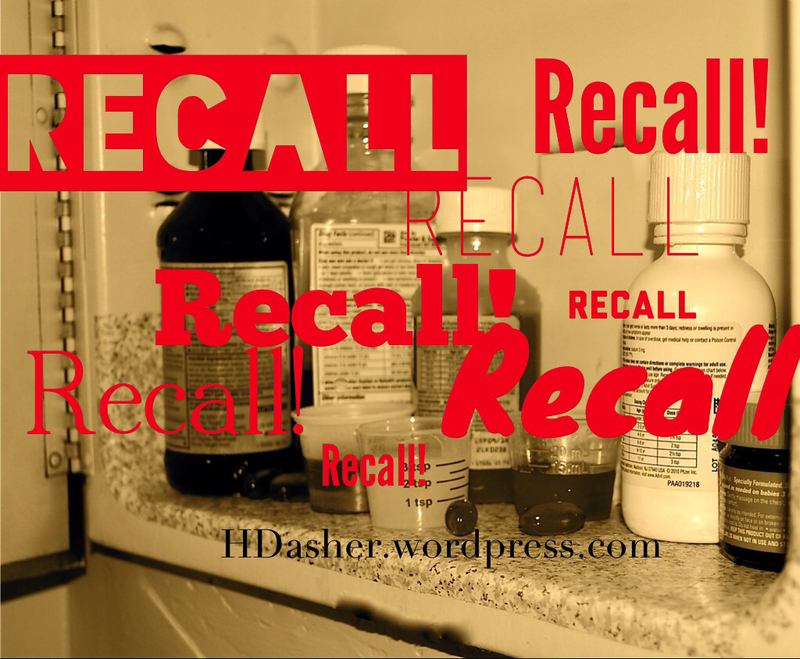 I will never forget the time I treated my son’s high fever with one of those syrups for several days then saw the recall on the news a week later. Luckily, he was fine but I sure wish I had known more about alternative options then. Modern medicine is designed to manage symptoms and there are side effects to using synthetic agents. Essential oils have been safely used for centuries to minimize symptoms while treating the root cause of the illness. They offer safe benefits without side effects and cost pennies per dose. With a little knowledge, they are a great option for people who would rather go the drug-free route. Here a few tips and tricks, and I will list the research behind what I share. Parents should be informed, and it’s not always easy to sort the good information from the bad. A low grade fever (under 101) is not necessarily something you need to treat, unless your child is under 6 weeks. Fever is the body’s healthy response to infection and illness and you want to let the immune system do what it does best. For a child older than 3 months, 101 degrees is worth keeping an eye on but remember that fevers are usually higher at night. If you feel uncomfortable, call your pediatrician but there’s no need to rush off to the ER and expose everyone to new germs until you have spoken with a doctor or nurse. For practical advice on when to worry about a fever and things to watch for, this is a great article from Dr. Sears. 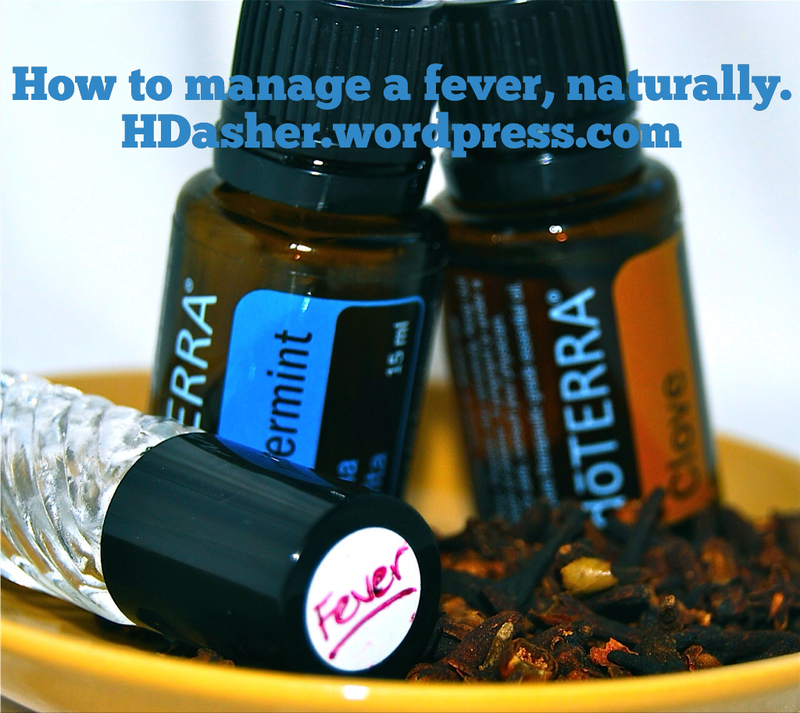 -The two best essential oils to use for a fever are Clove and Peppermint. Clove is a strong antiviral and immune stimulant. For scientific research on Clove oil, here and here are two very informative articles with links to even further research. Peppermint is a cooling oil and has been used to manage fevers for many years. For more reading, this article has plenty of great information. Here is how I use them. I put 40 drops of each oil in a 5 ml. glass roller bottle , then fill to the top with Fractionated coconut oil. Just roll on the soles of the feet, how easy is that? For infants, add a thin layer of coconut or olive oil to the feet first. I have used both oils with great success for fevers in my home and cost pennies per usage. Plus, they don’t expire. Nice! -Cool compresses on the forehead or back can help bring a temp down quickly. -Don’t let your child bundle up. It’s the first thing everyone wants to do with a fever and it will bring the body temperature up fast. On the other hand, shivering will too. Try and find a happy medium. -Avoiding sugar, white flour, and dairy while running a fever is a good thing. Eating any of these will “feed” the fever. Push cool water with a bit of no sugar added juice, fresh fruits, and caffeine free tea if you can manage it. -More cowbell!! Kidding, sorry, I couldn’t resist. I just can’t be serious for that long. -Above all, don’t panic. Most fevers are just the body doing its job. Give it the tools it needs to help it along and with common sense, the immune system will manage just fine. It’s important I say this again. I’m not a doctor. I have no medical training. I am not intending to perscribe to or treat anyone. Trust your insticts and use common sense always. Also, after doing my research on essential oils and trying many, the only ones I will use on my family are doTERRA essential oils because they are pure and undiluted therapeutic grade oils. Yes, they cost more but they work and I know exactly what is in each bottle. Many oils found at stores can be toxic if applied undiluted to the skin because of additives. Do your own research and feel free to contact me with questions about my “why”. For more information about doTERRA essential oils, visit here.